The Grand Ole Opry is known first and foremost for country music but from November 18 through December 27, 2017 its legendary stage was converted into a fantasy world where Christmas ornaments came to life. Created and directed by Neil Goldberg Cirque Dreams Holidaze astounds children of all ages with a lavish and lively production of colorful costumes, dance and music all topped off by awe inspiring feats of balance, flexibility, strength and much more. Cirque Dreams Holidaze is a dazzling display of never-before-seen performances with over 300 costumes, 20 of the world’s best acts, the finest singers, original music and seasonal favorites presented in a multi-million-dollar stage wonderland. Global entertainers transformed themselves into angels, penguins, reindeer and toy soldiers while others kept us on the edge of our seats on December 20, 2017 as they presented spectacular stunts high above the Opry stage. “Once upon a dream, time awoke suddenly…he turned, smiled and gave a wink…then saw the ornaments no longer asleep…finding themselves in Nashville, Tennessee. The popular production was considered a fantasy when founder Neil Goldberg first presented the idea inspired by his own personal ornament collection. 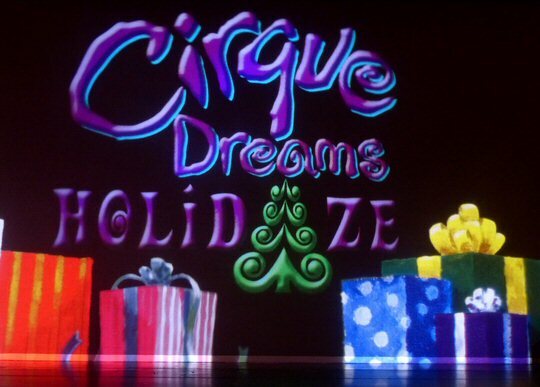 Now, Cirque Dreams Holidaze is in its tenth year and is still very much a celebration of Christmas. At The Opry, large candy canes, presents and solders flanked a set-up of elaborate décor as the troupe decked out in sparkling swag appeared dancing and singing before the hoop spinner took center stage with an array of tantalizing tricks. The musical number “Rockin Around” featured a dexterous duo on top of a small platform roller-skating which was an accomplishment in itself. Soon the man was holding the women by her ankles as they spun around with the lady’s head getting way to close to the narrow surface for our liking. The Blues Balancer demonstrated skills and strength that were mind boggling. “Winter Wonderland” was a winner with carolers, snowmen and agile reindeer armed with jump ropes. The Candle Balancer along with the Soaring Ribbon & Company were also impressive. “Symphony Of Bells” included audience participation which added spontaneity to the conducted musical number. The dazzling and delightful “Waking Up The Season” concluded with the flexible Flipping Cookies. The two dressed as gingerbread men seem to have no spines as they jumped and landed in positions that appeared potentially painful. 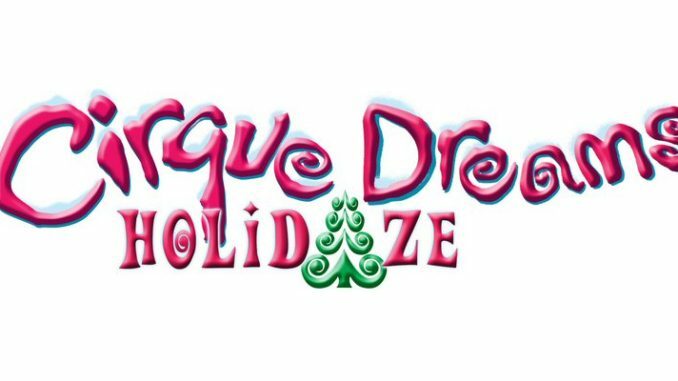 Cirque Dreams Holidaze is part of the Cirque Dreams brand. Since 1993 they have entertained more than 50 million people worldwide under the artistic direction of founder Neil Goldberg who crafts unique theatrical productions at Dream Studios a 25,000 sq. ft. production facility in Pompano Beach, FL. Cirque Dreams is a state of the art theatrical production, rehearsal, training, design, development and wardrobe manufacturing complex where the shows are conceived under the direction of Neil Goldberg and a team of coaches, choreographers, musicians, designers and more. Over 15 shows, 20 scores, dozens of stage sets, thousands of variety acts and 10,000 award winning costumes have been produced at Dream Studios including the dazzling Cirque Dreams Holidaze. The Grand Ole Opry is recognized as the show that made country music famous. It has a rich history that dates back to 1925 and is still going strong in 2017 but this holiday season the Grand Ole Opry house was transformed into a magical place where ornaments came to life able to defy balance, gravity and strength in a glittery and glorious display that could only be Cirque Dreams Holidaze – come and see it for yourself!